The media kits we create year after year for The New Mexico International Auto Show are always an impressive vehicle for promotional materials, press releases, news articles and more about this yearly event. Since 1999, e design has been working with PR firm Ciccarelli and Associates to create exciting, eye-catching designs for the New Mexico International Auto Show. 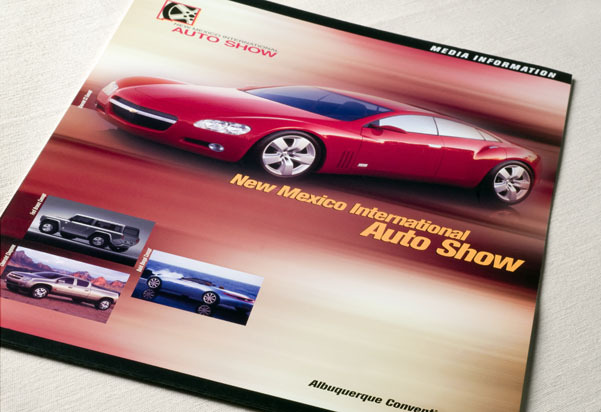 Although in 2010 the country was in a deep recession, the promotional materials we created contributed to the New Mexico International Auto Show having its most successful year for attendance in its history.